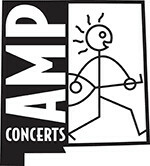 Tickets are $17 in advance, $22 day of show (including all service charges). They are also available by phone through Hold My Ticket at 505-886-1251. 21 and over unless accompanied by parent or legal guardian. Limited seating available. The Cooperage is a full service restaurant/nightclub specializing in steak & seafood, with a large salad bar, good desserts and a full bar. 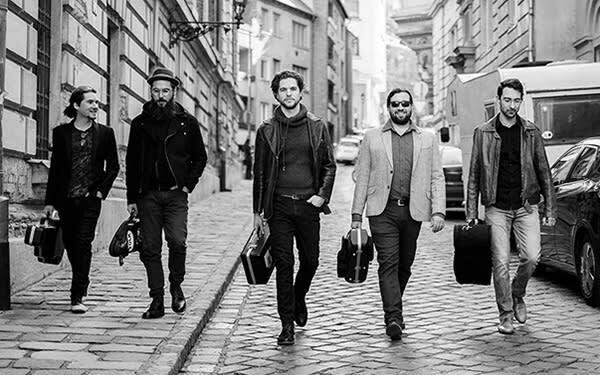 The brotherhood of virtuosity, contemporary inventions and respect—Söndörgő from Hungary combines these all brilliantly with their signature instrument, the Hungaro-Serbian tambura. Listening to the band play, you soon hear it's nothing like traditional violin-led Hungarian music. Söndörgő's sound is light, springy and delicately plucked. Their signature instrument is the tambura, a mandolin-like instrument, probably of Turkish origin, used by the South Slav (Serbian and Croatian) communities in Hungary. 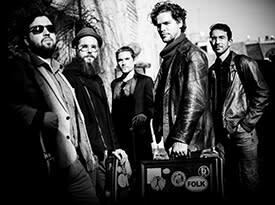 The band is made up of three brothers, Áron, Benjamin and Salamon Eredics, plus cousin Dávid Eredics and Attila Buzás, the only non-family member, on bass tambura. What Söndörgő combine brilliantly is a respect for the traditions, a desire to innovate and a fizzing unstoppable virtuosity.